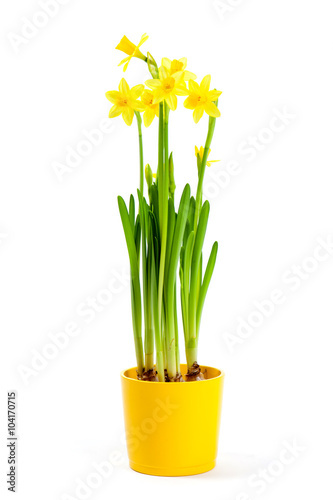 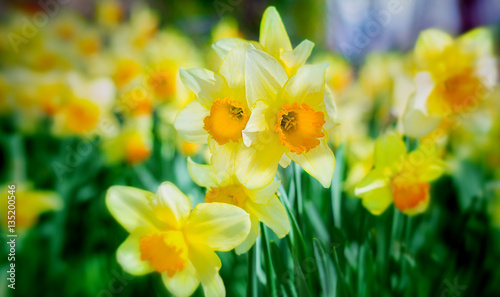 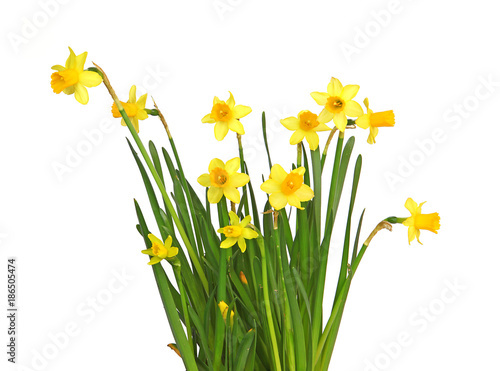 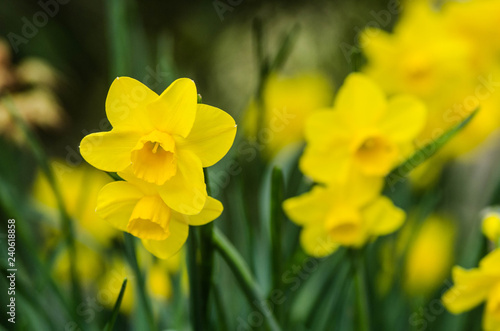 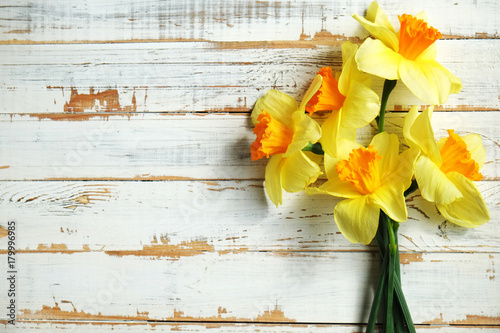 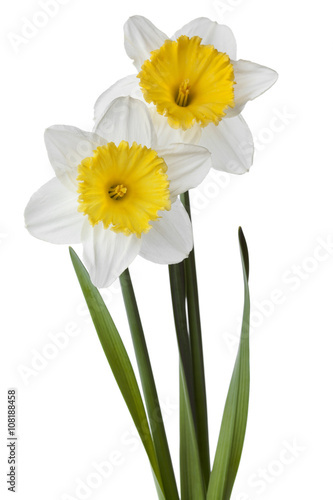 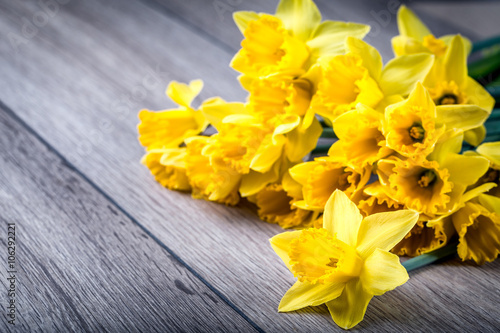 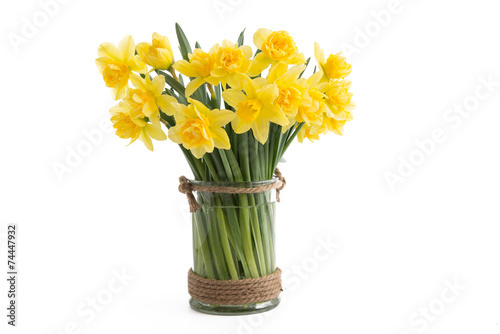 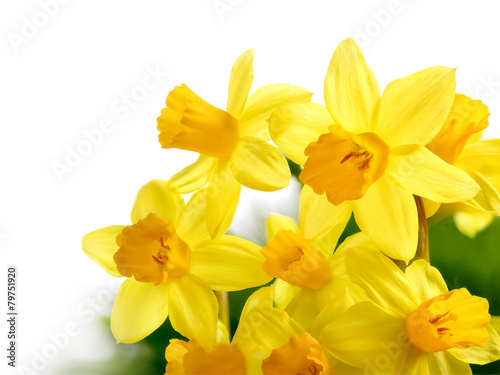 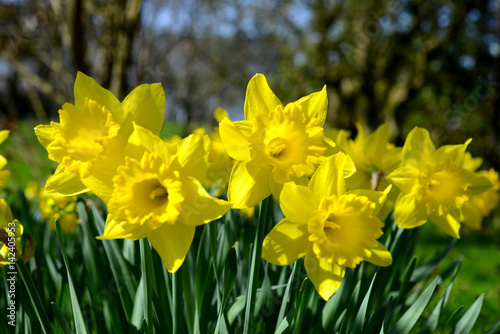 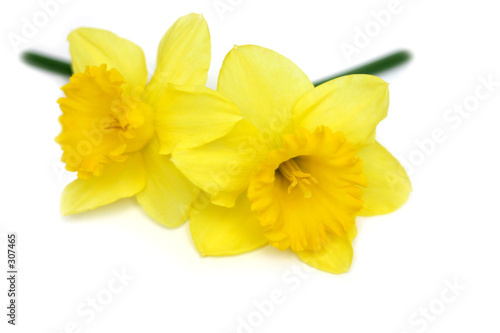 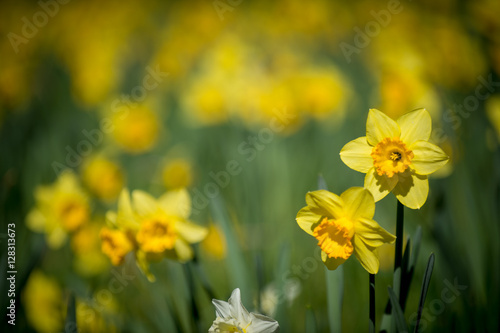 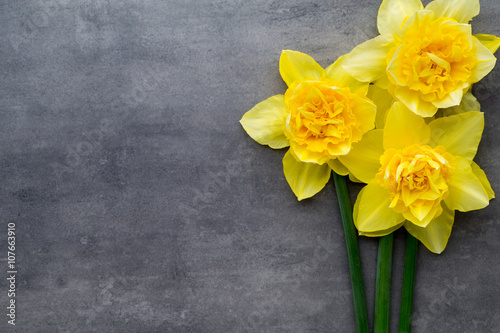 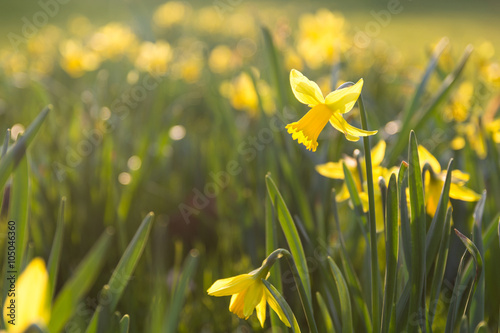 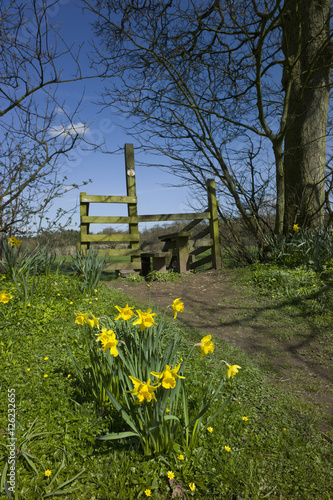 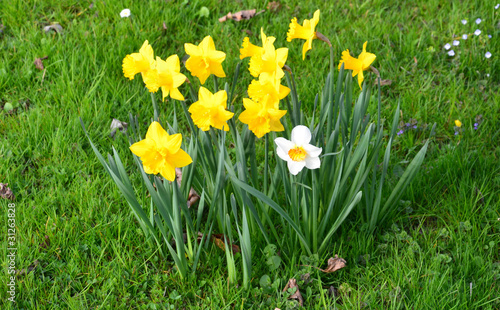 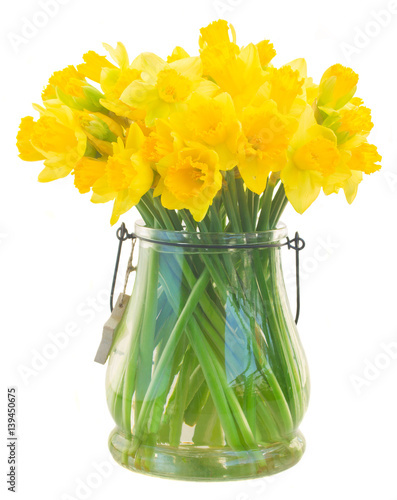 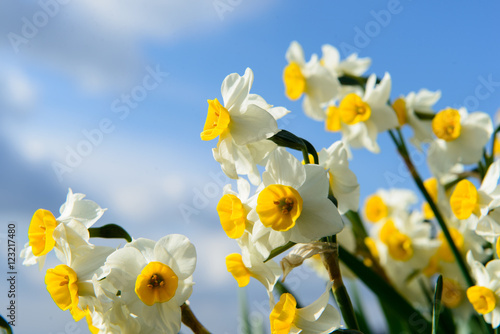 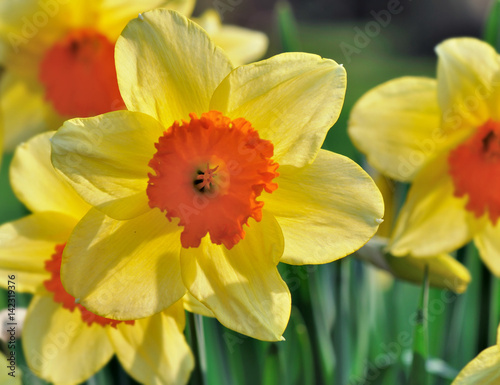 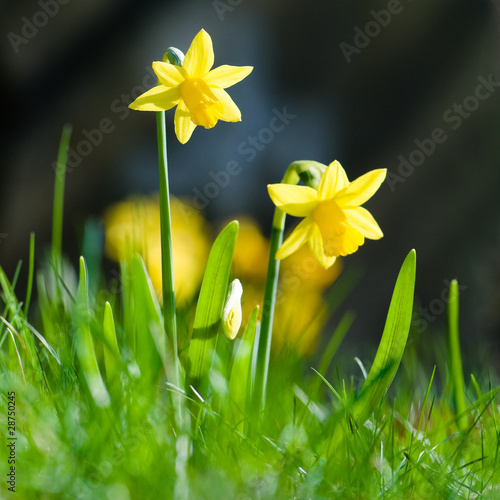 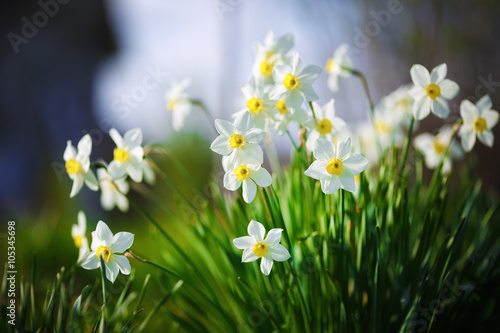 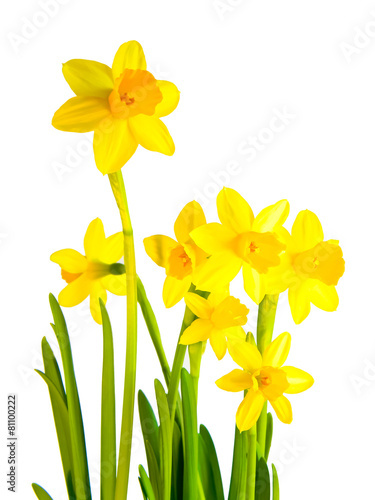 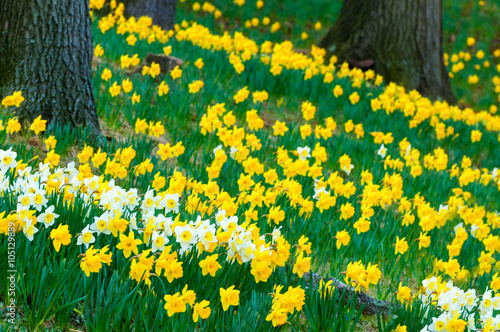 Yellow daffodils on a grey background. 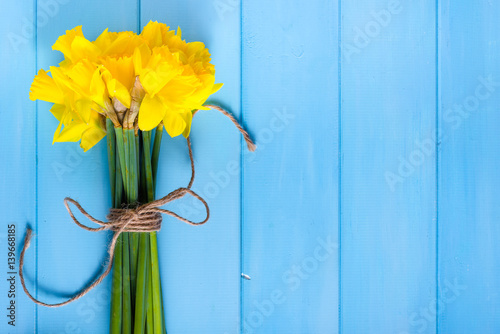 Easter greeting card. 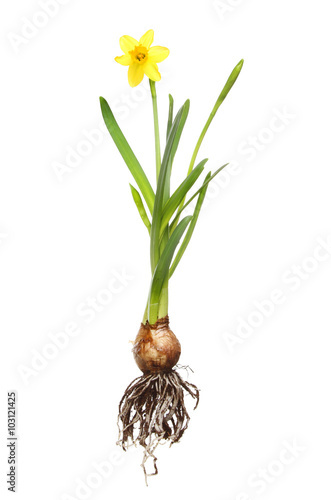 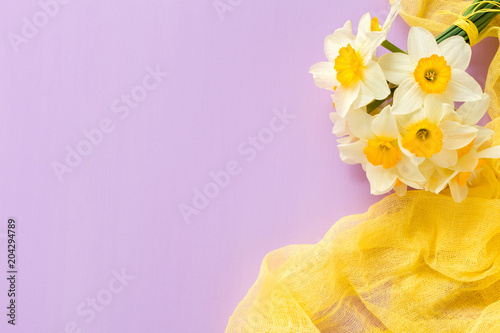 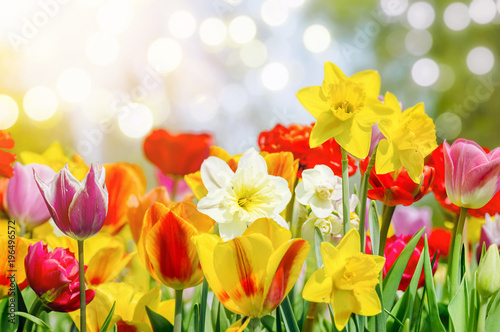 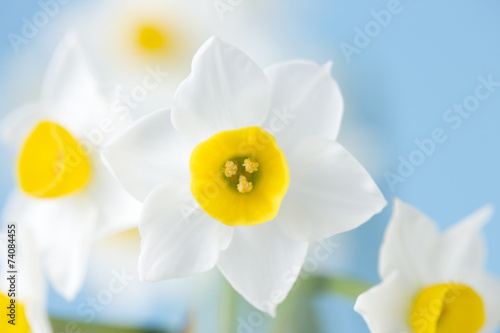 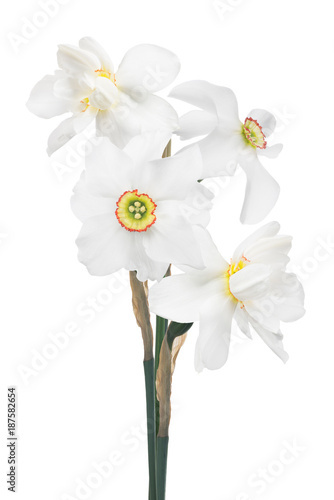 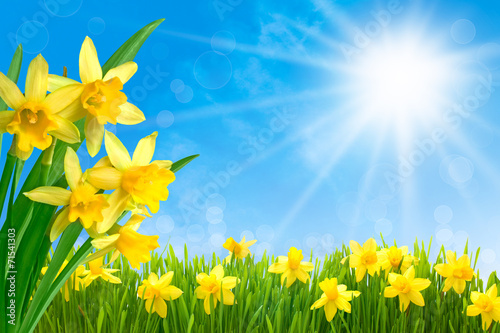 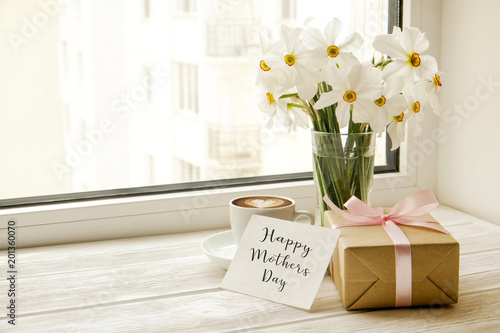 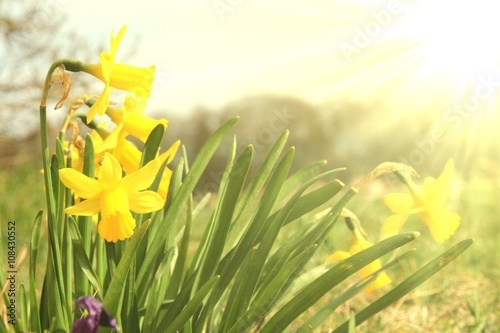 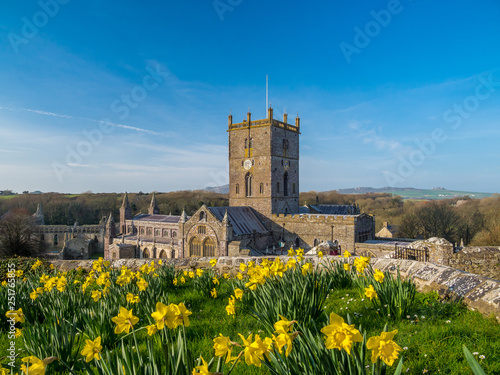 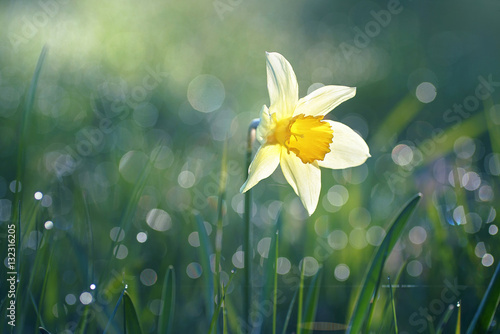 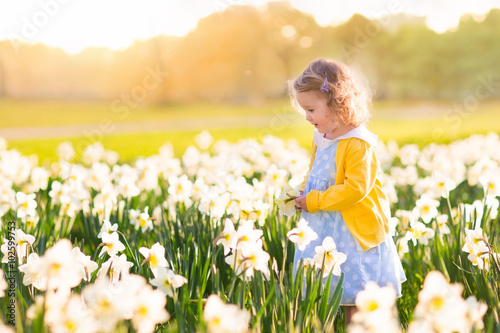 Daffodil bouquet with yellow textile decoration on violet pastel background with copy space. 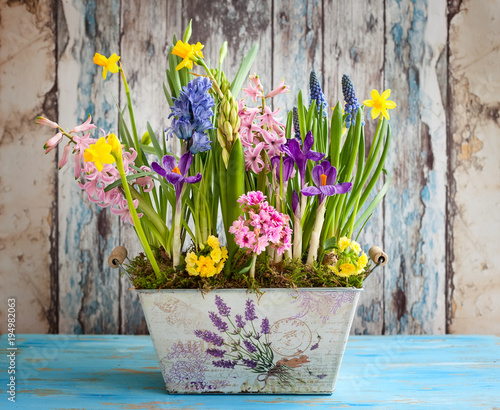 Bunte Blumen bringen den Frühling.